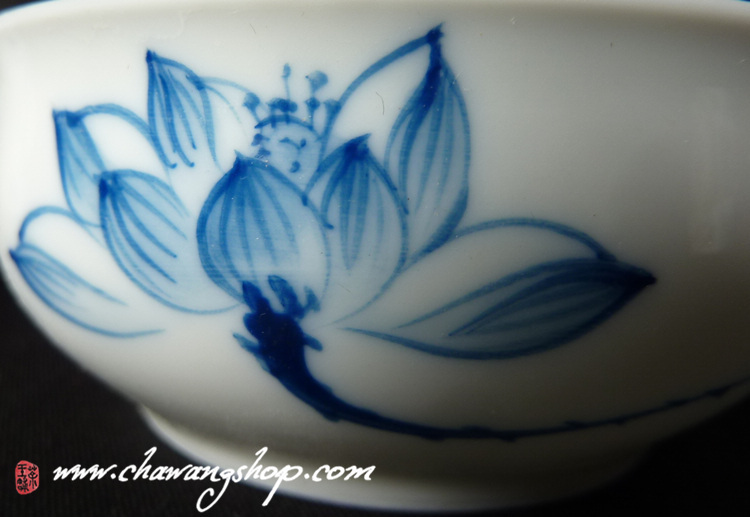 The porcelain has a white base with blue designs. 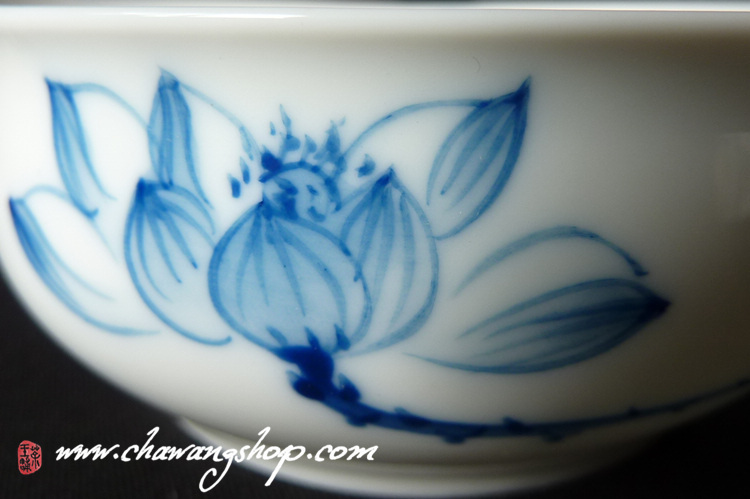 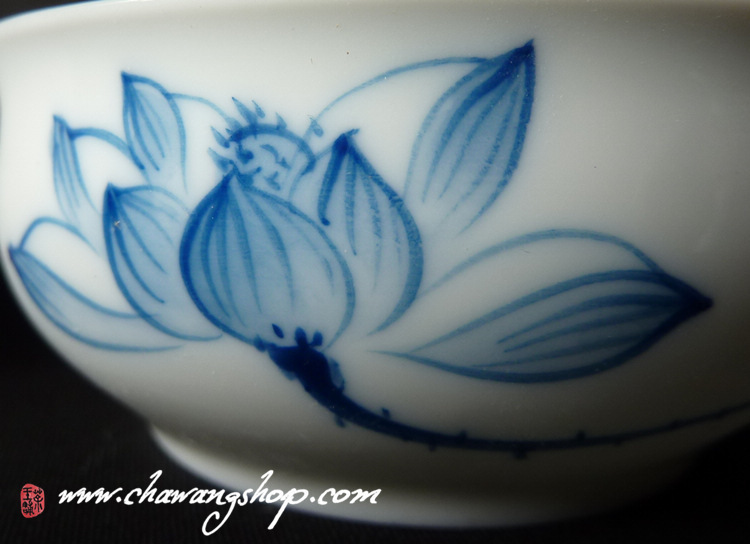 This is precisely and nice hand painted tea cup with design of lotus. 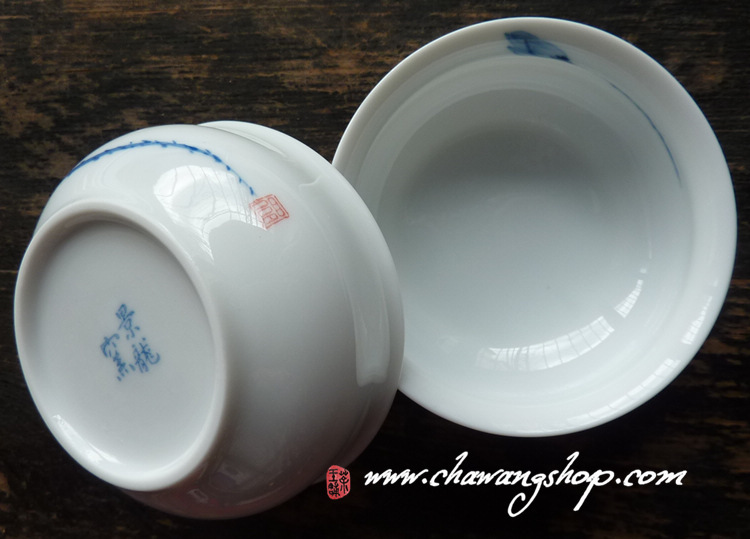 This cup is made in Fujian province, China. 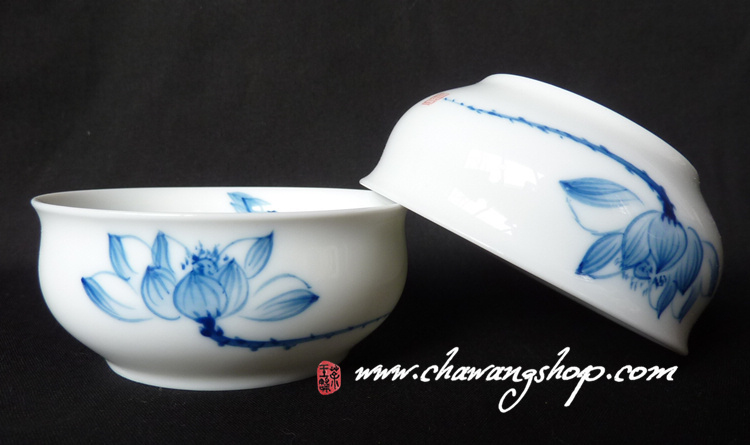 Style and design is similar with Jingdezhen porcelain.